For full participants list as of March 10th please click here and view/download the PDF file. Click here for list in PDF file. 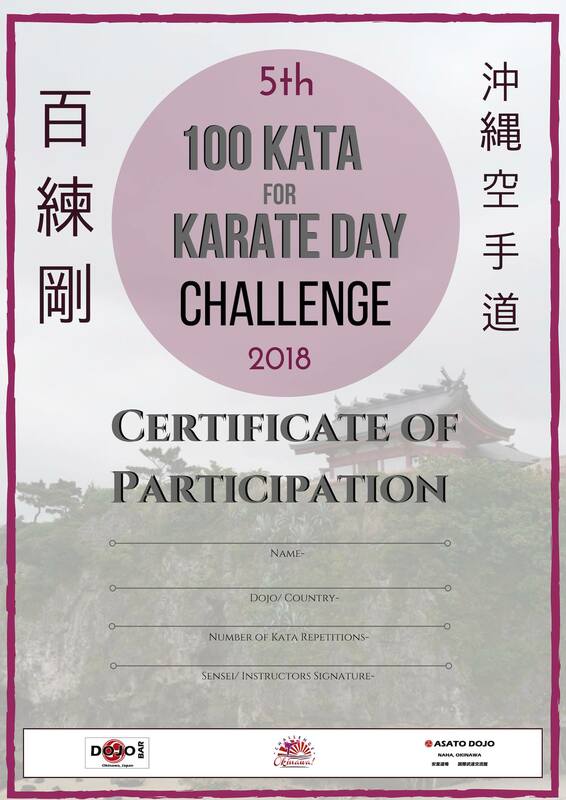 If you are a dojo leader or 100 Kata Challenge participant please feel free to use this certificate template to distribute at no profit to participants in this challenge event. Best wishes from us all with the challenge event on October 25th. Enjoy!